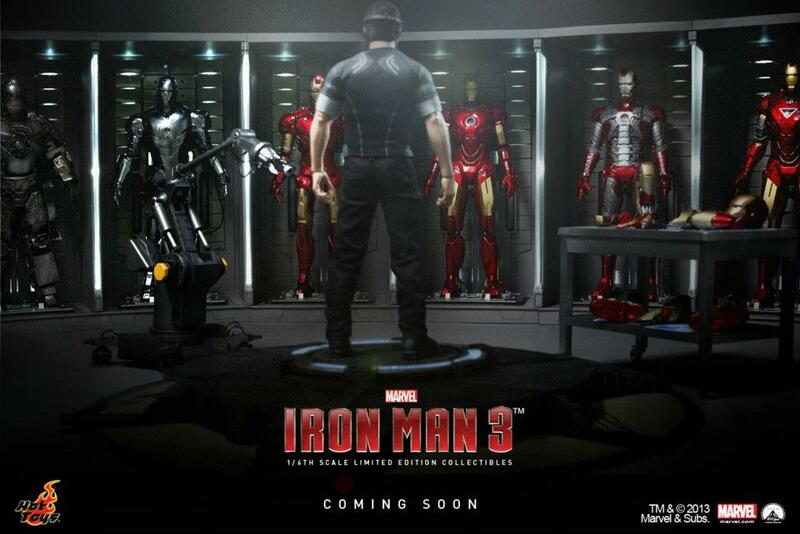 Hot Toys has posted a new preview photo showcasing some of their upcoming Iron Man 3 toys. 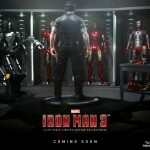 you can see the Hall of Armor, Tony Stark as well as the Iron Man 3 Workshop Set. Look for some of these to begin releasing in April. 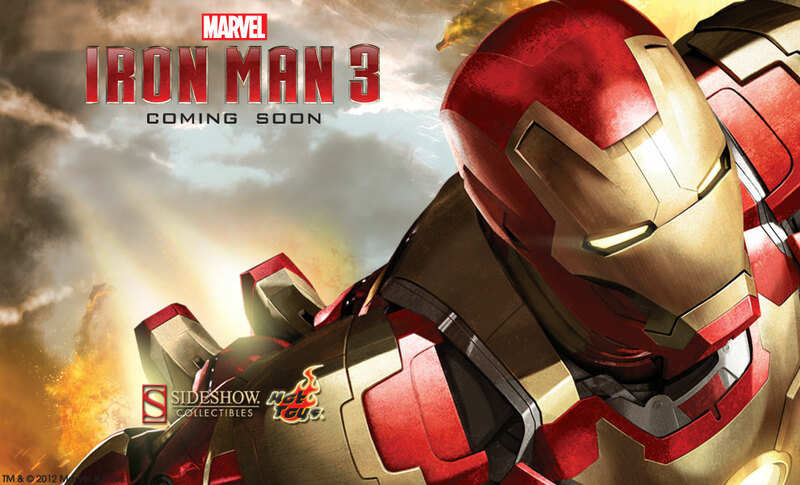 Sideshow has posted an announcement of Iron Man 3 toys coming from Hot Toys. More as it becomes available. Click the headline to check out the images. That stuff really looks amazing. I just wished my wallet would open up when I go to try to buy some of them. That first pic makes me contimplate selling my entire collection just to replicate that first picture lol. By Odin's Beard, I will own this entire diorama! 2 down and 4 of the Hall of armor on pre-order. Time to start selling a bunch of stuff. I still don't get how the MKII is still in his armory. That became war machine. Obviously he built another for sentimental reasons. I got a battle damaged Mark 3, I may breakdown and get 1 of the fancy display cases for him and that may nudge me into going into the highend market. I have enough rare/valueable MU and ML figures to sell to afford this, but dunno if I want to go that route. I got a battle damaged Mark 3, I may breakdown and get a displace for him and that may nudge me into going into the highend market. I have enough rare/valueable MU and ML figures to sell to afford this, but dunno if I want to go that route. Ooh, yeah that's a tough decision. I'm enough of an Iron Man fan of that I'm willing to sell off a whole bunch of Transformer stuff, but not ready to part with the valuable marvel stuff just yet.